We carry all the best brands and exclusive frames available in store. See our unique selection of frames. 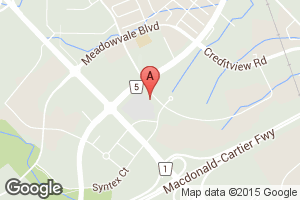 We are a family optometry practice located in Mississauga, ON at the Southeast corner of Derry and Mississauga Roads. We both are longtime Mississauga residents and reside in the Meadowvale community with our families. Our team is highly passionate about their work and aim at providing quality eye care services to each and every patient.It is time to get your appointment and have complete eye checking done by the best optometrists. Get your valuable eyes tested by the latest digital equipment for accuracy. Optometrists Dr. Jag Gill and Dr. Kuv Gill open their third optometry practice in 2009. Located at the southeast corner of Derry and Mississauga Road you will find the office easily accessible from meadowvale or central Mississauga. The doctors understand the patients require thorough eye exam witjh honest advice reasonable recommendations. Our main objective is to ensure you get the answers to your questions about your eyes and vision.